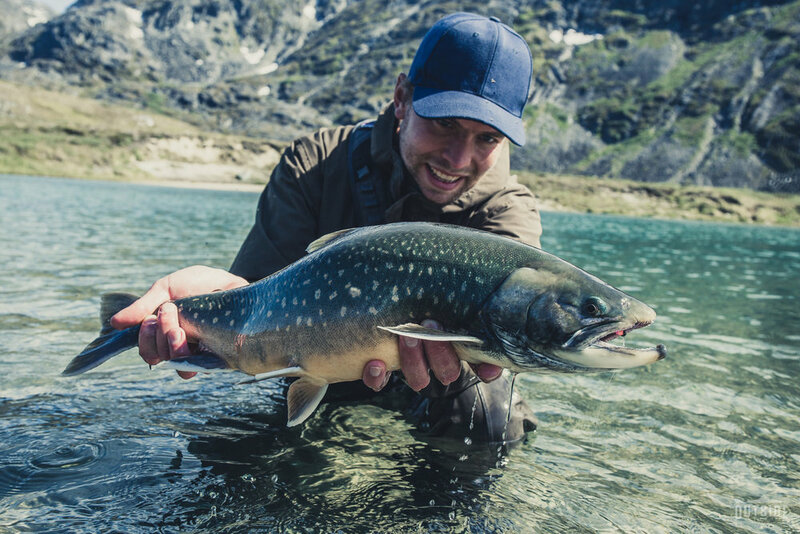 We offer amazing fly fishing trips with our professional guide on the hunt for Arctic char in one of Greenland’s best rivers. Our groups of fishermen/women are small (5-7 people), so we can offer the best possible service on location. We live comfortable but austerely in cabins close to ”sea pool” which means a fly cast is always near. Don't miss our great photo albums! The river runs on Greenland’s west coast. It’s an untouched paradise where only a few people set foot every year. The river is as clear as you could only dream of and the fish is wilder and stronger than you could imagine. We depart from the village Maniitsoq on a comfortable boat that takes 12 passengers. Seeing whales, seals and the magnificent landscape is an experience you won't forget. Upon arrival we install ourselves in cabins. They contain everything we’ll need for a comfortable but austerely stay. The fishing is world class. The river holds char for about 3 miles and offers great fishing. It don’t matter if you prefer fast or slow streams or even lakes. You quickly find what you prefer most. One pool looks more tempting than the other so you may have trouble deciding where you want to start fishing. The char breed in the river and swim out to sea after 1-2 years where they grow big fast to return upstream as strong muscle packages that puts up a good fight for sport fishermen. We often catch fish on 30 inches and bigger. A nice little bonus is the fishing from our boat in the fjord. About 300 feet from land is far enough to find some great fishing spots. 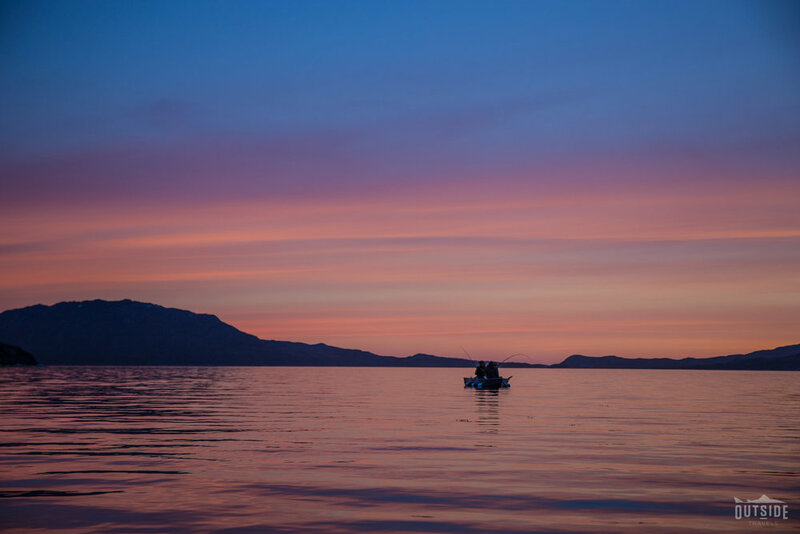 We catch an incredible amount of cod, catfish, spotted wolffish, a number of flatfish species and halibut. At the moment the current records are a 36lb cod, a 20lb spotted wolffish and a halibut on 30lb. We fish on a depth between 30 to 300 feet. We have the equipment for this type of fishing in the camp for those who want to try breaking the records. It’s also possible fishing these species with your fly fishing rod since both cod and halibut can swim in shallow waters. A sinking line and a fish imitation does the trick. The wildlife on Greenland is fascinating but limited. Due to the harsh climate only the strongest and smartest survive. You can encounter wild rain deer, arctic hares, arctic foxes, stoats, and lemmings around the camp. There are about 180 bird species on Greenland. Especially one stands out a little more than the others - the white tailed eagle. 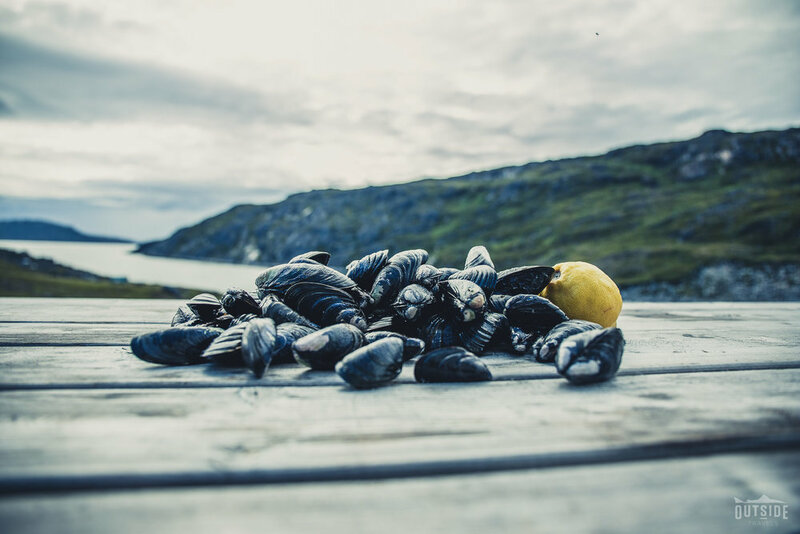 When the trip has reached its end we go back to Maniitsoq where we dine and spend the night comfortably on a hotel before getting on our flights back home, rich on fantastic experiences. “We were at the camp in August 2013. It was an incredible experience with amazing fishing in a dream like environment. The fish we catch are exclusively char. They are shiny like silver or colored in red and weighs between 3 - 13 lbs. 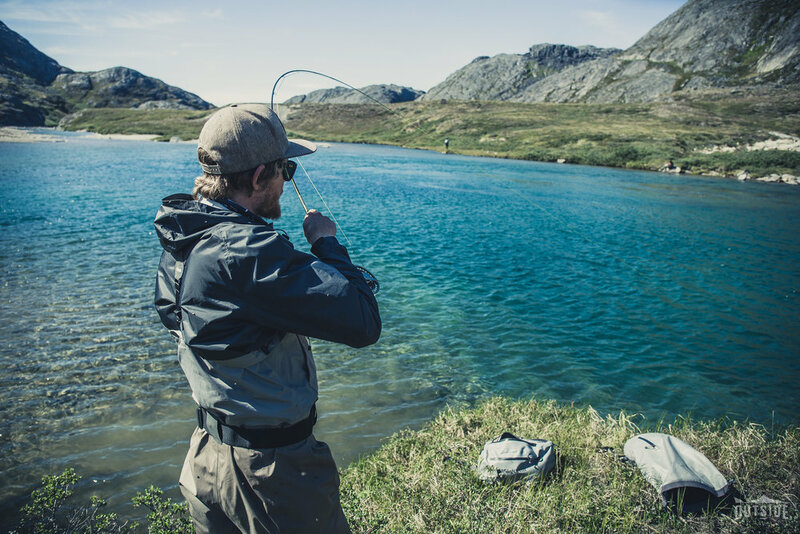 My friend Patrick and I have made a lot of fishing trips together and we both agree that the best one so far is the one we made to Greenland. The best thing is that we are going back this August, and we’re bringing four friends with us. The period we travel is the best time to go. From mid July through August there’s a great mix of silver and red beauties. Do we book the flight ourselves? Yes, you need to book your flight to greenland. However, don’t hesitate to reach out to us for recommendations. A #6 – #7 rod is optimal. Floating lines and a reel with a reliable drag is to prefer. Choice of flies is a separate chapter. Get in touch and we’ll be happy to send over info and suggestions. Do I need experience of fly fishing to tag along? Not at all. Our guide have taught lot’s of people how this noble art is performed. The cast instructions he offer are of course included in the price. If you’re about to learn, why not doing so on one of this planet’s most beautiful places? Call +46 737 88 74 39 and book your trip or fill out the form right below and we’ll reach out to you shortly. Thanks for reaching out. We'll get back to you real soon! Godkänd för F-skatt. Vi uppfyller Kammarkollegiets krav på resegaranti.